Last weekend, the Santa Cruz Symphony presented Embracing the Dance, the second program of the 60th Anniversary season. Performing the esteemed work of John Adams, Leonard Bernstein, and Ludwig van Beethoven, the Symphony took audiences on a dance-themed journey to China, New York City, and Europe. The concert was a celebration of music and movement as powerful storytellers. Through their virtuosity, Maestro Daniel Stewart and the orchestra communicated vivid impressions of diverse people, places, and experiences linked with bodily motion. Together they conveyed with energy and commitment each composer’s emotional depth and musical range, revealed elements of dance throughout, and all but brought us to our feet during the performance to participate in it. The program opened with The Chairman Dances from Adams’ Nixon in China, considered one of the most influential operas of the later twentieth century. The orchestra created a vibrant image of the personalities, cultural fusion, and nostalgic exchange that inspired Adams’ music. Gracefully performing music laced with intricate and alternating tempos, the musicians evoked the spirited movement of the Foxtrot as danced by Chinese leader Mao Zedong and his charismatic mistress Chiang Ch’ing during the historic visit with President Nixon and his wife Pat. While every member of the orchestra contributed to an outstanding performance in the first half of the show, hats off and high praise to percussionists Norman Peck, Tim Dent, Lily Sevier, Douglas Chin, Stuart Langsam, and John Weeks. All stood out for their exceptional precision and stamina as featured in the first half of the show. Reinforced by their combined skills and techniques, the orchestra powerfully conveyed the various rhythms and styles of movement and elevated the emotional intensity of both Adams and Bernstein’s music. 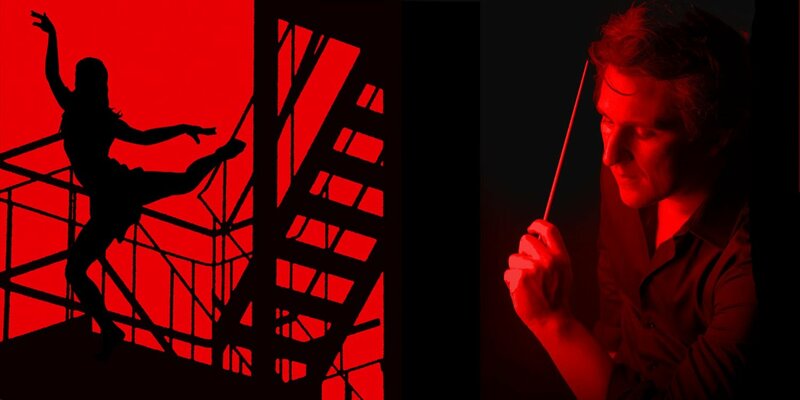 In the performance of Bernstein’s iconic musical score, West Side Story: Symphonic Dances, the orchestra brought to life the harsh streets of New York City, the tragic retelling of star-crossed lovers, and the confrontation between two oppositional ethnicities. The classical composition blends elements of Latin and jazz, and it is through this complicated mix that the dichotomies of the story emerge – Sharks vs. Jets; violent gang rivalry vs. tender romance. The original stage and film productions were brilliantly choreographed by Jerome Robbins, and the Symphony reflected the legendary steps and score with each explosive burst and lilting sway of the music. Although slightly less obvious in its direct relation to dance, the emotional nuances, forward-moving rhythm, and theatrical build up of Beethoven’s Symphony No. 7 resonate with dancers and non-dancers alike. Beethoven composed the symphony when Europe was in turmoil from war. The music reflects both the devastating tragedy and the celebratory victory that characterized this time and defines the human experience. The orchestra expressed this dynamic with passion and vitality and evoked the power of musical and dance storytelling. Throughout the entire concert, Maestro Stewart inspired the musicians and audience with his dramatic emphasis, most memorably in the final moments of Symphony No. 7 when, as the movement builds in intensity, he swept musicians and audiences up in a fully charged, “dance till you drop” crescendo. 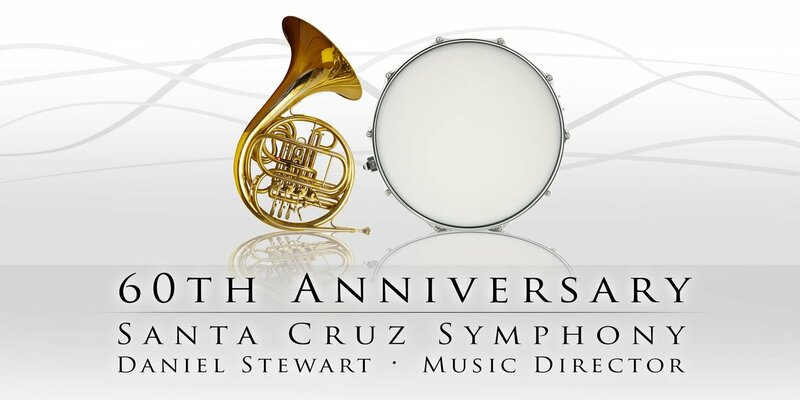 Get your tickets for the Santa Cruz Symphony 2017/18 season HERE. Holidays are Coming to Capitola! Sierra Azul Nursery and Gardens - "Sculpture Is"
"I would like to stay over night with you but I can't possibly"